Click SAIL CAMP 2019 REGISTRATION to register today. 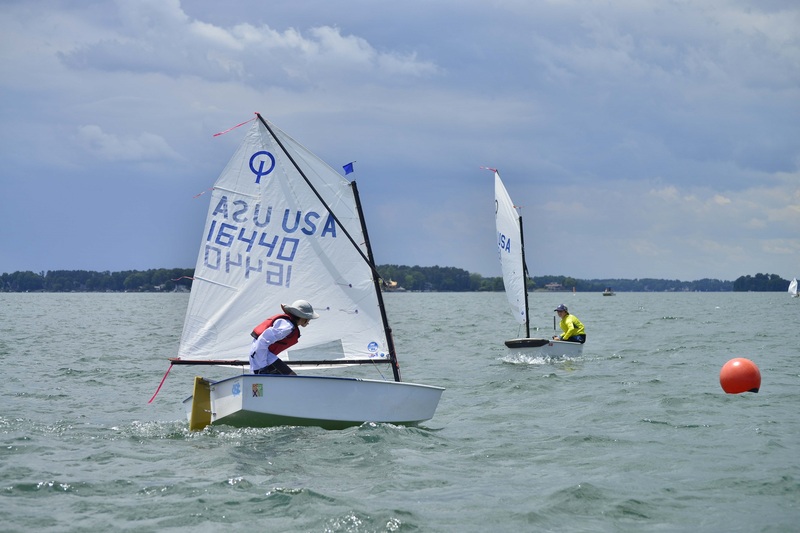 Calling all sailors, for the fun of 2019 Sailing Camp! We have a fabulous 2019 Sail Camp planned! LNYC Sail Camp has a long history of teaching youth, ages 8-19, how to have fun and how to sail! We hosted our first youth sail camp in 1970. And this is our 50th Sail Camp! WOW! A big year to celebrate. Many of our original youth sailors return with their children and many of the parents of our early sailing programs return as grandparents to support this community sailing program. Previous camp experience is not necessary. All that is required is a community spirit and a desire to make the camp a memorable experience. It is this community spirit that keeps LNYC Sailing Camp affordable. It is also this community spirit that helps our camp to be a family oriented camp like no other! Safety, on and off the water, is a top priority for us at LNYC. Reminder that sailors are responsible for arranging their own boats. High quality and affordable boat rentals are available through LNYC Junior Program (contact Scott Olson at 707.718.4757) or via Lake Norman Community Sailing (call Christy Lux at 704-947-7245) to reserve a boat. Please note that, as stated in the LNYC Sailing Camp Rules, children under 18 must have a guardian (parent, grandparent, friend of parent, etc.) on the premises during camp at all times. New this year: The club is offering Adult Sail Camp. Are you interested? Reach out to Ken Gorni at kengorni@gmail.com for more details. As many of you know, it really does take a village to run LNYC Sail Camp. Our camp is supported by a tremendous number of volunteers that do an amazing number of jobs during the week. Tasks range from sailing instructor to committee boat official. If you don’t know how to sail, that’s no problem! Many of our volunteer jobs do not require any sailing experience. For example, volunteers also run the registration table, ensure that the ice box is full, and that opti sailors have assistance pulling their boats up on the beach each day. Volunteers also make lemonade for the sailors and replenish soap/towels in the kitchen and bathrooms. Volunteers also organize evening events, which include bingo and spoons night, movies in the Pavilion, duck boat races and game night. There are more volunteer jobs than you can imagine...and there are tasks that are perfect for you! Check here for a summary list of volunteer tasks. We look forward to seeing you and your camper on June 10-14, 2019 at LNYC! If you have any questions (camping, prices, rules, registration), please check out the links below. Otherwise feel free to contact us at LNYCSailCamp@gmail.com. If you are willing to volunteer at camp, but are not registering a child at camp, you can click on the link below and sign up for a volunteer job. We appreciate it! !